In the present times, there are quite a large number of people who have limited or no credit. In the present times, there are quite a large number of people who have limited or no credit. As a result, it becomes difficult to generate a FICO score for them. With a limited or no credit history, it becomes quite difficult to qualify for any kind of credit. On the other hand, unless you have any kind of credit, it becomes difficult to build up your credit history. So, it's a Catch-22 situation!! 1. Secured credit cards: If you wish to build up your credit history, your first step will be to go for a secured credit card. 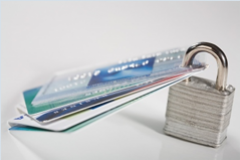 You can contact your bank or credit union in order to qualify for a secured credit card. In order to get such cards, you must make a fully refundable deposit, by sending a check or through cash. This deposited amount is considered as your credit line. However, you should make sure that you opt for a credit card that reports your on-time payments to the three major credit bureaus. 2. Authorized user: If you want to improve your bad credit history or build up a credit of your own, you can become an authorized user for your spouse's or your parent's credit card. As an authorized user, you get charging privileges on another person's credit card. You will have to stay within whatever limits the cardholder sets for you. The cardholder's good payment history for that account will appear on your credit record as you're the authorized user and will help you in building your credit. However, if the account holder misses payments, or the account goes into collections or the account holder files bankruptcy, then that bad behavior can also land on the authorized user's credit report. Thus, as an authorized user, you should monitor your credit report regularly to ensure the account is reporting and paid on time. 3. Credit builder loan: A number of banks and financial institutions are offering such loans in the present times as a large number of people are facing credit issues. This is something very similar to that of a secured card but this comes in the form of a loan and not in the form of a card. In this case, your bank or a financial institution offers you a small loan with which you purchase a CD. The financial institution or the bank will hold that CD unless you pay off the loan in full. As you make the payments to the bank, they will report it to the credit bureaus which will help you in building your credit. Moreover, once you pay off the loan, you will also own the CD!! 4. Using existing account: Your good accounts can disappear from your credit report after 10 years if they become inactive or if you close them. So, if you have an existing account which you haven't used for a long time, then you should make a small purchase using that account. This will make your account active and will help generate a credit score. Normally your oldest account needs to be 6 months old in order to generate a credit score using the FICO scoring formula.